and strengthen our CSAIR community. Mazal Tov and Yasher Koach! Caring friends and devoted volunteers whose passion, compassion, humor and style help CSAIR to thrive! and volunteers -- Todah! Thank you! To be partners in creation, we must beautify our world. and teach, bringing forth light into this world. and all those around you. May the days ahead be filled only with joy. CSAIR could choose no more deserving family. Kol hakavod to our honorees. Thank you all for your contributions to the past, present and future of CSAIR. From Strength to Strength and Simcha to Simcha. Mazel Tov on this distinguished honor. Kol hakavod to our honorees. to the past, present and future of CSAIR. Mazal Tov to ALL our honorees and a special tribute to the heart of our synagogue -- Rabbi Barry Dov Katz. recreating the warm and welcoming place of study and prayer! CSAIR Kol Hakavod!! by your commitment to it. SILVERLEAF CATERERS and DAVID HEISLER wish all the honorees a Kasher Koach on this milestone moment as CSAIR celebrates and recognizes your accomplishments, collective strength and contributions to synagogue life. Thank you all for your contributions to the past, present and future of CSAIR. Best of everything to you and Richard in your new community. Your drollness will be sorely missed. What a well deserved honor. We are so proud! Love you. and more secure because of you. Thank you for all you do for us and our kehillah. to our shul & community. May you each go from strength to strength. We are so grateful for all that you have given us and taught us. The respect with which you treat every person, the integrity with which you approach every task, and the joy with which you live every day -- all of this is an inspiration for us. The Tanakh calls on us to do justice, love goodness, and walk humbly with God, and you have modeled all of this for your family, for the CSAIR community, and for everyone who knows you. Mazal tov on this well-deserved honor. Mazal Tov, Erica and Ephraim! and all of your accomplishments. CSAIR a wonderful home for so many!! that takes nothing for granted. .. never treat life casually." Thank you for taking nothing for granted! Mazal tov to Elisa and Dror! and we're happy to celebrate with you. Mazal Tov to all of the honorees. You are incredible role models to us all. to be an Ema and Grandma. Mazal tov to all of our honorees! -- Mazel Tov and thank you! wall" and to the wider world in need of Tikun. in Nyack at Ramah; in Israel at so many locations! KOL HA'KAVOD. Much admiration and love. Erica, Ephraim, Elisa and Dror! We are deeply moved and inspired to be honored alongside the four of you, and by a community that believes so strongly in the importance of tikkun olam. CSAIR has played - and continues to play - such a vital role in pushing us to nourish this value in ourselves and model it to our children. We have been profoundly blessed to be part of such a community. "the better angels of our nature,"
to quote the concluding phrase of Lincoln's first inaugural. positive and meaningful impact on our lives. to strengthen and enrich our community. You mean so much to us and our community. with your knowledge, passion, and dedication. grateful that you have all made us feel so welcome. and your constant leadership. Thank you all for all of this. CSAIR the unique place that it is. and we are so fortunate to have you both as dear friends. to your volunteer work at CSAIR. Richard and Sheila - you made us feel instantly welcome when we first moved to Riverdale and we wish you much luck in your new journey! and important new page in the CSAIR story! Congratulations to all the honorees. Mazal tov to this year's wonderful honorees. the Riverdale community with CSAIR. Mazel tov and kudos to all the honorees. You are what makes CSAIR so special. and thanks for the great work you do. your partners in Jewish education. Elisa Marcus and Dror Bikel. The metaphor "leap of faith" was first used by Kierkegaard. as a gulf that could only be bridged by faith. and connect with our faith due to all your volunteer efforts. L'Dor Va Dor, from Generation to Generation. on for Generations to come!! to brag about our grandchildren. 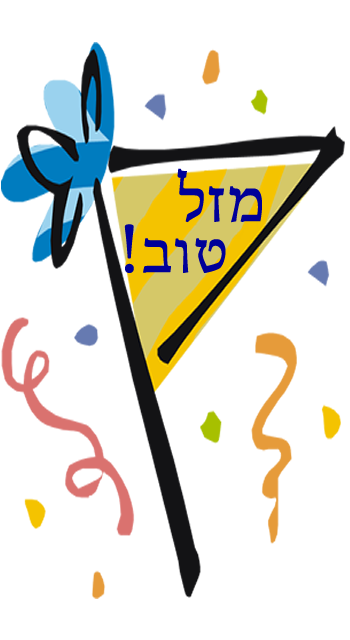 Mazal tov on this auspicious occasion! "A Jew is asked to take a leap of action rather than a leap of thought, to surpass his needs, to do more than he understands in order to understand more than he does." Yashar koach to Elisa Marcus and Dror Bikel and to all the honorees, for your inspiring leaps of action. May you go from strength to strength as you continue growing the CSAIR community and nourishing the soul of Am Yisrael. to old and new friends. Sheila & Richard, Elisa & Dror and Erica & Ephraim! Thank you for all you do on behalf of our community. and in everything that you do. and for the rest of the honorees. to enrich the Jewish community. of dedication and leadership to CSAIR. Mazel Tov to the honorees. Mazel Tov to all of the honorees. Thank you for all that you do for CSAIR. is appreciated in more than one place. We are honored to be your colleagues and your friends. We admire you both so much! to benefit CSAIR & the Jewish Community. and giving to your community.